As mentioned earlier, Love Me More is a pretty carnation pink with blue and pink micro shimmer! I really loved the pink! 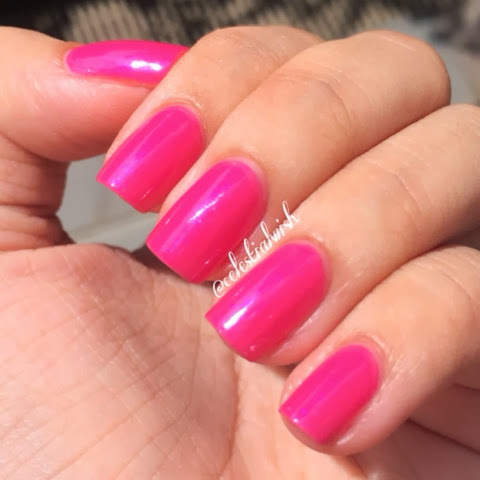 I thought it would come out as a hot pink color, turned out I was wrong. 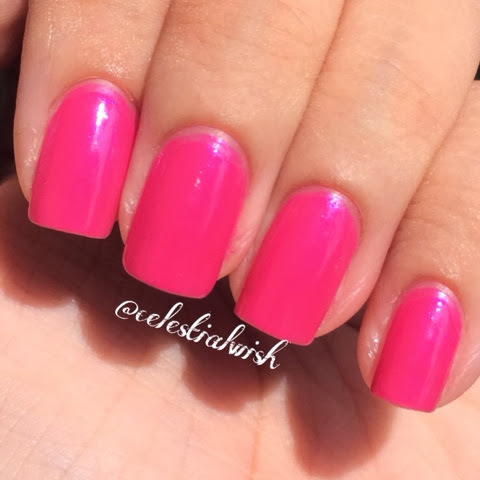 It is a bright pink, but it isn't as much as a hot pink like Sinful Colors Dare Devil (1104), as seen as below! Love Me More has a slightly pinkier tone! This makes it fabulous, as I didn't really like the Dare Devil that I had since I find that it was really too bright for me. This is 2 coats of Love Me More, with 1 coat of Glossy Glam. Please show your support and purchase Love Me More polish from Meimeisignature's store. It cost SGD $13 and with each bottle purchased SGD $5 will be donated to her niece parents to help them with their financial burden for the liver transplant surgery. Meimeisignature ships internationally, so for those who do not live in Singapore, you can still show your support too! This fund raising will commence from today, 16 November 2013 till 31 December 2013. This maybe extended until she gets enough funds raised. Let's give Teh Siao Yuan the funds she needs for her liver transplant surgery! 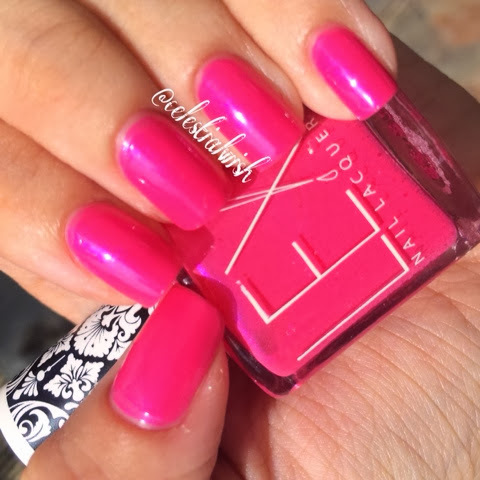 All you kind polish ladies (& men) out there, do show your support and purchase this polish!